Is your car engine overheating? Well, most cars are designed to operate at 190 to 220 degrees Fahrenheit for optimal performance, but the exhaust gases produced by an engine can reach 1,600 degrees Fahrenheit. These scorching-hot temperatures can warp cylinder heads, damage engine blocks, blow gaskets and cause other potentially catastrophic damage. Thankfully, all modern cars have a cooling system to regulate the engine’s temperature and protect it from overheating. There are times, however, when a car’s cooling system may fail, thereby causing the engine to overheat. As a driver, it’s important that you familiarize yourself with the appropriate steps to take when your engine overheats. Continuing to drive — even for just 10 miles — may cause catastrophic engine damage while increasing the risk of an accident. For your own safety as well as the safety of other motorists, follow these steps the next time your engine overheats. One of the first things you’ll notice with car engine overheating is a rising temperature gauge. Found on the dashboard, this gauge shows the relative temperature of your car’s coolant. In most cars, it should read slightly under the halfway mark once the engine has warmed up. If it climbs higher and enters the red zone, it means your engine is overheating. You may also lose horsepower and other functionality with car engine overheating. Most modern cars have a safeguard to protect the engine from damage if it overheats. Known as “limp mode,” it’s part of the car’s Engine Control Unit (ECU) computer. When a car overheats, the ECU triggers the check engine light and automatically limits the engine’s power, meaning it might be able to drive no faster than 20 mph. 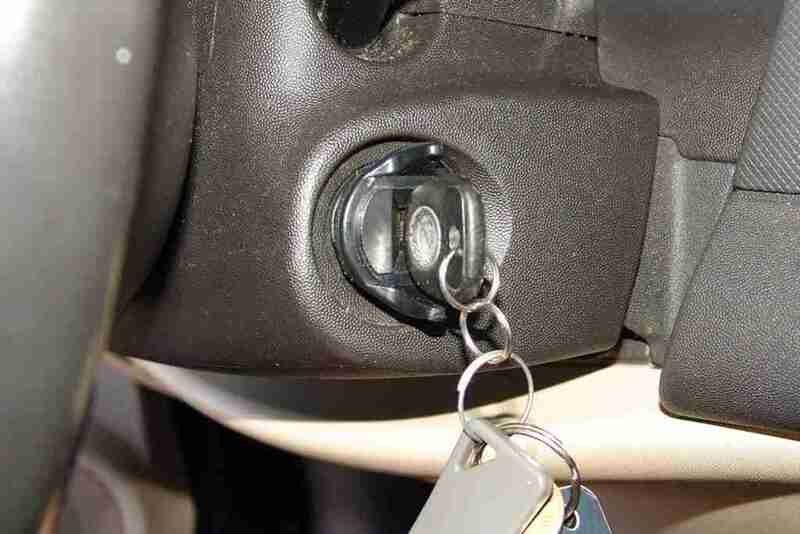 The power restriction reduces the amount of heat produced by the engine, thus reducing the risk of serious damage. If you see the temperature gauge on your dashboard rising, turn on the heater to the hottest, highest speed setting. This may sound counterproductive given that your engine is overheating, but it can actually lower your engine’s temperature. This is because your car’s heater is essentially a mini radiator. 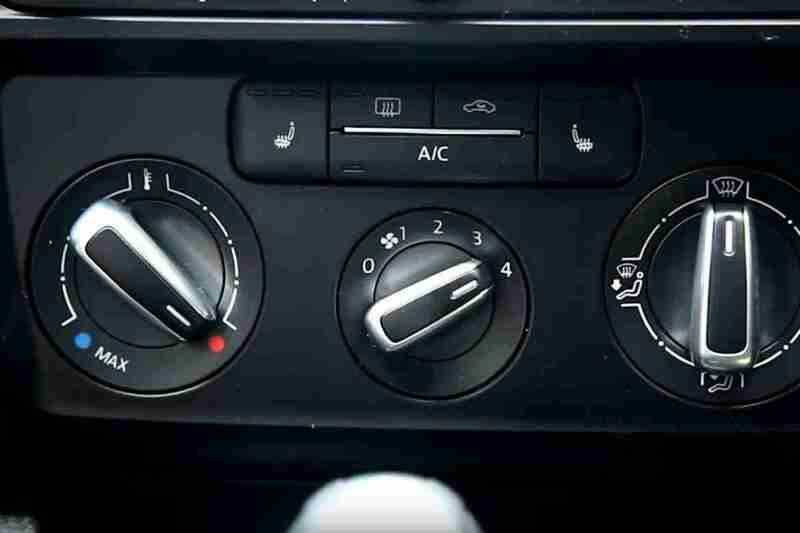 Turning on the heater opens a valve, allowing hot coolant to flow from the engine through the heater core. As coolant travels through the metallic fins of the heater core, a fan blows over it to release heat. Find a safe place to pull over and turn off your engine immediately. Even with the heater running, your engine’s temperature may continue to climb. The best way to protect against serious heat-related damage liked a cracked engine block or warped cylinder head is to turn it off. This doesn’t mean that you should stop driving in the middle of a busy highway. Rather, activate your turning signal and begin making your way to the shoulder or a nearby parking lot. Once you’ve reached a safe area, turn off your engine. After turning off your engine, pop the hood from inside your car so that fresh air can circulate more freely through the engine bay. Do not, however, attempt to lift open the hood or touch any surface around the engine bay. If your engine is overheating, coolant in the radiator and hoses will be incredibly hot — reaching temperatures up to 260 degrees Fahrenheit. If your car’s cooling system blows, this scalding-hot, pressurized coolant could spray on your skin or eyes. With your engine turned off and the hood popped, there’s not much else you can do other than wait. The longer you wait, the cooler the engine will become. 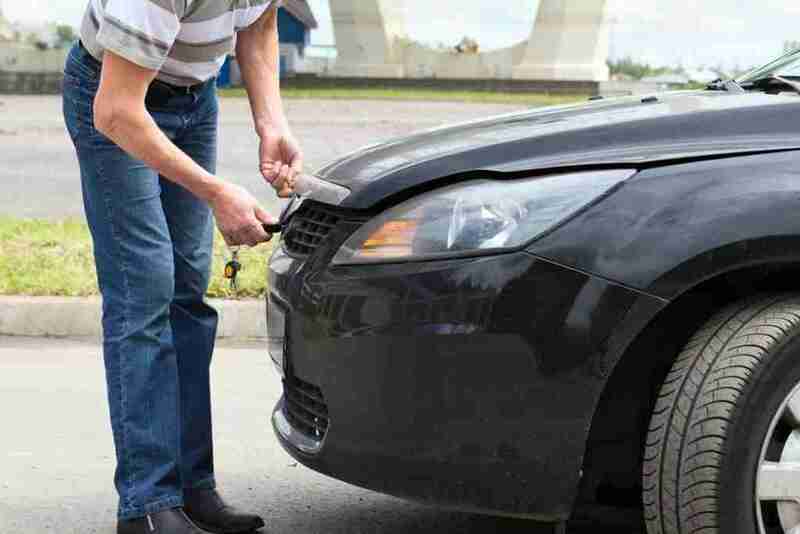 After waiting at least 45 minutes, carefully open the hood from the front of your car to inspect the cooling system. Engines aren’t supposed to overheat, so you need to find out why yours did. Car engine overheating is often attributed to insufficient coolant, so you should check your car’s coolant level first. Typically made of equal parts distilled water and antifreeze, coolant is responsible for moving heat from the engine to the radiator, where it’s released by the radiator fans. If your car’s low on coolant, the engine will overheat. To check your car’s coolant level, wrap a towel over the top of the radiator cap and slowly turn while allowing the pressurize to release. Remember, coolant is under pressure, and even after allowing your engine to sit for 45 minutes, it can still shoot upwards. So, use a towel to slowly remove the radiator cap. After removing the cap, look inside your radiator to see if coolant is present. You should see coolant covering the fins at the very top. If you see dry fins with no coolant, your car is low or empty. If you have an emergency bottle of coolant in your car’s trunk, pour it into the radiator. Otherwise, walk to a nearby store or call someone for assistance. 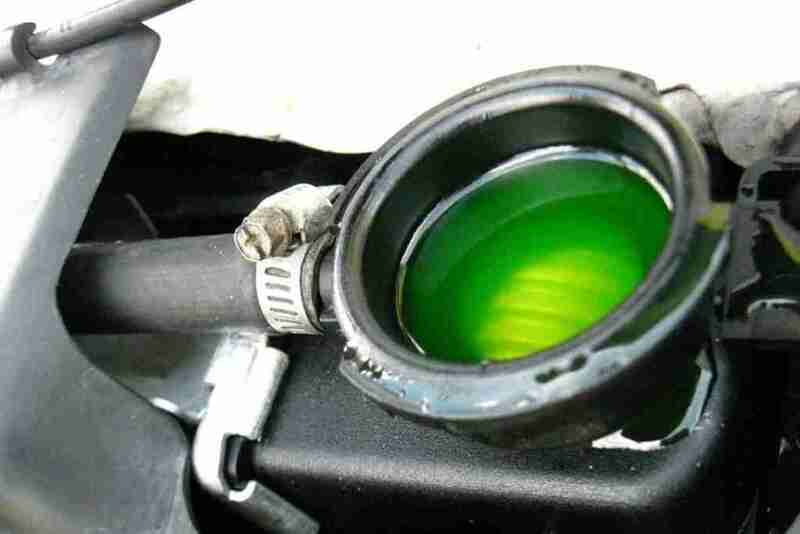 Do not continue driving your car if it’s low on coolant. Assuming your car has sufficient coolant and you’ve waited at least 45 minutes for the engine to cool down after it started overheating, you should be able to get back on the road. Drive carefully while keeping a close eye on the temperature gauge. If it begins to rise again, pull back over and call for a tow. If your engine overheated, it will probably happen again unless you find and fix the problem that caused it. Refilling an empty radiator with coolant isn’t a long-term solution. Coolant isn’t supposed to escape from the radiator, so low coolant levels indicates a leak, either internal or external. You can check your car’s cooling system for a leak by pressure testing it. This involves pumping air into the radiator to simulate the pressure created by the engine when it reaches normal operating temperature. As you pressurize your car’s cooling system, you can safely look around the radiator, hoses, water pump and engine to see if it coolant is leaking. A coolant leak is just one possible cause of car engine overheating. Others include a stuck thermostat, faulty radiator fans, faulty water pump and blockage in the radiator. Seeing a car’s temperature gauge climb into the red zone can cause any driver to panic. Whether it’s an aluminum or iron engine, hot temperatures can cause catastrophic damage. So, if car engine overheating happens while you’re driving, follow the steps listed here to minimize the risk of damage and get back on the road.